Ski Bonjour offers a high quality chalet experience across the vast snow-sure French resorts of Val D’Isère and Tignes all at affordable prices. Our guests enjoy the high quality service and standards of a top hotel with the relaxed, friendly atmosphere and informality of a family home. Our chalets are ideally located close to pistes and lifts making them perfect bases for your ski holiday. Total Refurb is an English speaking, French registered Company which has been refurbishing property throughout the French Alps since 2001. We operate out of Tignes and cover surrounding areas. We specialise in kitchen fitting, bathroom installation and bespoke carpentry projects. However we can cover all your property refurbishment needs. If you have been injured while on holiday or just have not had enough time to sort out an injury at home. 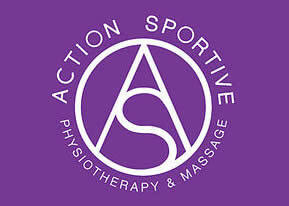 Book a physiotherapy appointment with us. We can help sort out many acute and chronic injuries, through exercise prescription, taping, manual therapy, massage, education and advice. Hopefully we can help you get back on the slopes and continue to enjoy your holiday! If that is not the case we should be able to help you start your rehabilation so that you are already on your way to recovery before you get home. Ski Holidays for the Single & Solo Traveller. No More Single Supplements! Email info@val.co.uk for the latest list of properties for sale. French Autoroute Tolls- French tolls Automatic Tag Payment. A company who supplies a telepeage tag which allow you to pass through the French tolls without queuing. Please see their website for more details on how this works. Caught by Canvas, a sales and portfolio website for work of Jonathan Low. Original oil paintings and limited edition photographs printed on canvas are available for purchase. Whilst the majority of our business is in Montalbert, La Plagne and Les Arcs, we are by no means restricted to providing airport transfers to those resorts, so you can find prices for transfers to Val d'Isere, Tignes, La Rosière, Courchevel, Meribel & La Tania in the "Prices" section. James McPhail is a freelance photographer . An exclusive selection of gallery quality photo prints of James work are available to purchase on this site. He has been at the forefront of creative snowboard photography for over a decade and his passion for travel and snowboarding has taken him to remote corners of the globe in search of untouched mountains and unfamiliar environments. Magnificent catered chalets, centrally located in Les Gets ski resort in France, only a few steps from ski slopes and lifts. VFX handle currency conversion for private individuals and businesses, offering a reliable, guaranteed service with some of the best exchange rates around. If you need to send or receive a foreign currency payment then we can offer you a better exchange rate than most of the big banks, along with a professional level of service. Why not speak to one of our experienced foreign exchange brokers today and find out how we can start helping you, or your business, save money on your international money transfers. Custom is an interior building company that understands the importance of good communication between client, contractor and tradesmen. The renovation of a kitchen or bathroom will not only require a carpenter or fitter; but also a plumber, a qualified electrician, a tiler and a painter and decorator. A larger build may also require a project manager. A selection of ski properties from the snow traveller. we will look after everything for you on your next chalet holiday. after everything for you on your next ski chalet holiday. Ski Holiday Les Gets Catered ski chalets in the Largest ski area in Europe, by The Chalet Experience.